Hundreds of thousands of chickens may need to be destroyed after one of Australia’s ‘most significant salmonella outbreaks’ sparked a massive egg recall on Thursday. 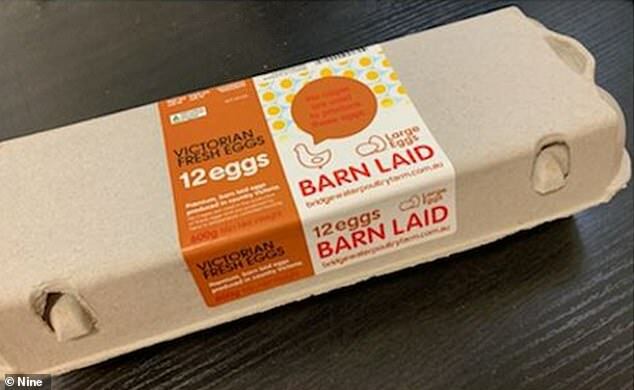 The eggs were pulled from shelves across Victoria, New South Wales, Tasmania, South Australia and the ACT after salmonella-related illnesses were linked with the Bridgewater Poultry farm in central Victoria. 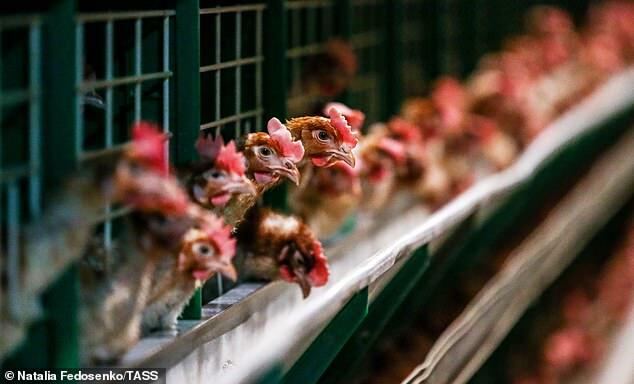 The farm was placed under a strict quarantine in a bid to stop the strain from spreading any further – but the next step will likely involve an enormous chicken cull. ‘We immediately put in place quarantine notices to prevent birds or machinery from leaving the premises, and also a food safety notice to ensure no eggs went into the food chain,’ Victoria’s chief vet Dr Charles Milne told ABC News. Dr Milne said three of nine sheds on the property were likely to be affected by the outbreak and all chickens found inside that shed would need to be killed. However, the cull could very well extend to the entire farm if authorities feel the salmonella outbreak has spread across the grounds. 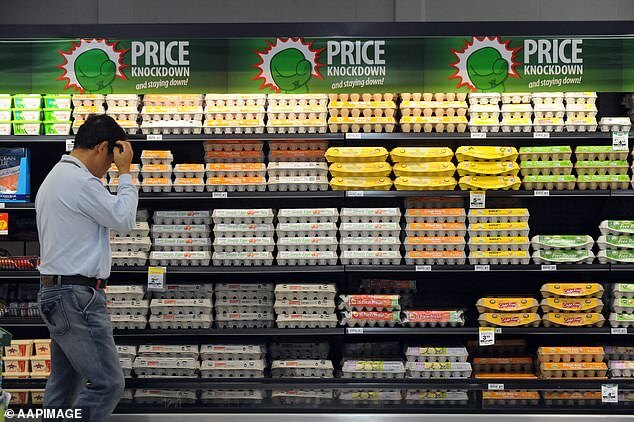 This decision could ultimately bring the industry to a halt and will most likely jack up prices of eggs. Though it is said the farm is well organised and it would be likely there’d only be between 150,000 and 200,000 birds affected. The strain of salmonella is said to be the most significant example seen in Australia. ‘This is the first real major commercial farm… it is unusual, most salmonellas are surface contaminates of eggs, but this particular strain can pass the disease vertically inside the egg,’ Dr Milne said. Vets will visit the farm on Monday to investigate the extent of the outbreak. 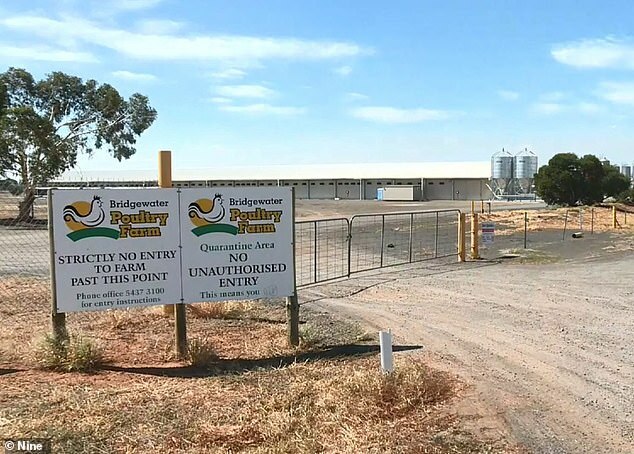 Bridgewater Poultry are currently working with authorities to determine whether the salmonella strain is linked with the recent outbreak in Sydney earlier this year. The latest strain has caused five people to be struck down, Victoria Health confirmed on Friday. The illness date back to January and could be linked to eggs produced by Bridgewater Poultry. Two people were hospitalised but have since been released. Ages of the patients range from their 20s through to their 80s and authorities fear more patients could be stuck down by the salmonella enteritidis strain, which is rarely found in Victoria. The latest recall has ignited further debate around more significant warnings telling consumers of the risk of salmonella when consuming raw eggs. The salmonella bacteria is killed once an egg is properly cooked.